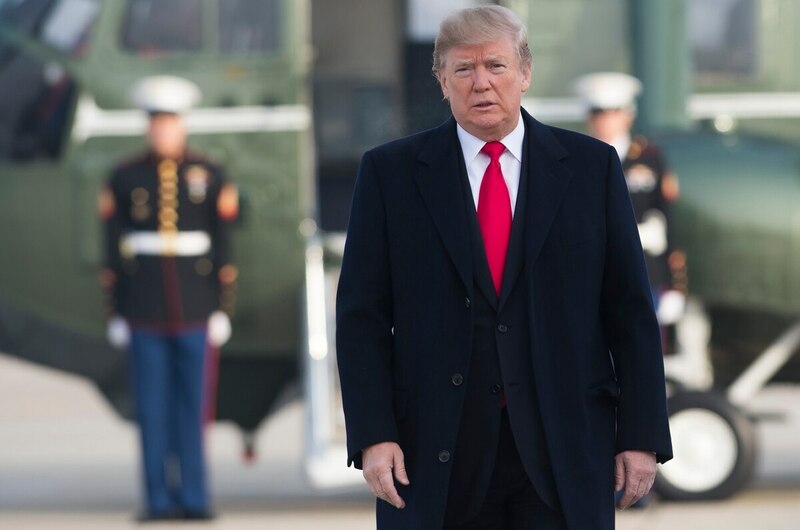 WASHINGTON — The military buildup President Donald Trump has called for would cost $683 billion more than current spending plans over the next decade, according to a new analysis by the Congressional Budget Office. To achieve the buildup, the base budget would have to reach $688 billion by 2027, more than 20 percent larger than peak defense spending during the 1980s, CBO said in a report released Monday. The CBO score comes as Trump closes out his first year in office without substantially advancing his promise to “rebuild the military” and — with statutory budget caps in place — no clear political path to the massive defense increase required to achieve it. As of Monday, President Trump and congressional leaders were at an impasse on the 2018 federal budget and teetering on the brink of a government shutdown. The deadlock, in part, centers on how much to raise budget caps for the defense and non-defense sides of the budget. CBO projects that Trump’s plans would exceed caps by $295 billion through 2021, when the caps established under the 2011 Budget Control Act expire. CBO’s projections exclude overseas contingency operations funding, “because of uncertainty concerning current conflicts and the possibility of new ones,” the report says. The OCO account is exempt from budget caps and has been used by budgeteers to skirt the caps. The analysis also comes amid congressional debate over a GOP-led tax overhaul that will increase the deficit by more than $1.4 trillion, according to the CBO. Democrats and the defense industry have expressed differing degrees of concern that such an increase would create headwinds for future defense budget increases. Congressional Republicans, however, have widely touted their belief that the tax cuts will boost the economy enough that they will be revenue neutral. The buildup’s projected 10 percent manpower increase (an additional 237,000 troops), its addition of 20 percent more naval vessels, and its increased purchases of other new weapons, adds up to a 12 percent increase over the Obama administration’s plans for defense spending over the same period. The projections include increased shipbuilding for the Navy’s fleet, to arrive at 355 ships in 20 years, and increased purchases of the F- 35A to let the Air Force field five additional fighter squadrons. The projections were based on administration documents, congressional testimony and the 2018 budget request’s five-year plan. The administration is due to produce a 2019 budget request and its National Defense Strategy, which will likely add more clarity. Defense Secretary Jim Mattis said in congressional testimony earlier this year the buildup would begin in 2019.